All these tips will certainly make your air ducts working as if they were brand new. Keep on reading! Do you know what to do if your HVAC unit becomes covered with grime? Here are some useful tips. Read on. The experts in our company suggest that you regularly change your filter every time you clean your air ducts. For the best possible results, use a filter system with a minimum of MERV-7. Doing this is important because the coil could potentially get hit by the debris the old filter leaves behind, and this could cause damage to the entire duct. Before starting your air duct cleaning session, the first thing you should always do is to turn the whole system off. Doing so prevents dust from suddenly blowing into your face and covering you all over when someone turns the air-conditioner on. From there, remove the dust covers and go on with your cleaning session. Do not forget to wear heavy-duty gloves before starting. It's important to clean the filters regularly in order to avoid high concentration of dirt. 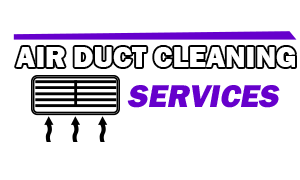 The experts of our air duct cleaning company in West Hollywood also recommend checking the filters for damages. In this case, it is wise to replace air duct filters immediately. Air duct cleaning is very important for health reasons. If you do not keep them clean, the dirt and bacteria gathered inside the ducts will end up in your lungs. The indoor atmosphere will become unpleasant and contaminated and your health will be at risk. It's not a paradox. Air duct maintenance after having them perfectly cleaned is the best way to ensure that ducts will remain clean and problems will be taken care of on time. The specialists of our company in West Hollywood suggest annual air duct but also semi-annual HVAC maintenance for better indoor environments and energy saving. Look closely at the entire length of each fin. If you notice even a slight sign of bending, go for repair straight away.